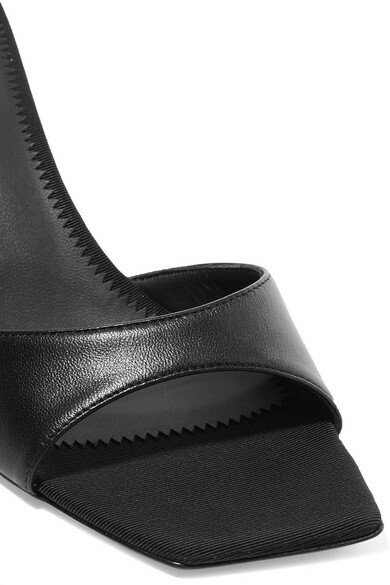 Giuseppe Zanotti's 'Dem' mules are the kind of thing you know you'll want to wear for seasons to come - you can't fall out of love with a design so elegant and simple. 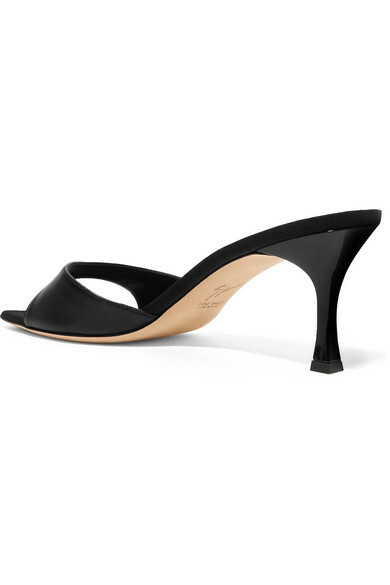 Made from supple black leather, they're set on a faille footbed with a squared-off toe and 70mm heel that's subtly fluted so they're really easy to walk in. Shown here with: Prada Shorts, 16ARLINGTON Sweater, BY FAR Shoulder bag, Jennifer Fisher Earrings.